Lately, the media has been rampant with news stories about electronic cigarettes. Some are pointing out the positive aspects of these electronic devices, while others are raising concerns over the long-term safety and effectiveness of e-cigs. Yesterday, the Huffington Post pointed out “9 Terribly Disturbing Things About Electronic Cigarettes” and we felt it was necessary to provide our opposing viewpoints and debunk the blatant misinformation outlined in the story. Having concerns about a lack of regulations and long-term testing is one thing, but providing misleading and biased information about e-cigarettes is another. What the story failed to mention, was that the FDA examined a total of 18 samples during their study and found carcinogens in only two of them. While this is undoubtedly worrisome, the story implies that all electronic cigarettes contain these ‘hazardous’ chemicals – but this is simply not true. Most of the samples had NO HARMFUL CHEMICALS. Even if some of them included toxic carcinogens, they were at virtually untraceable levels, well below safety standards, and far below that of tobacco cigarettes. Since their recent introduction in 2007, there’s been a limited number of studies like the one referenced in this article. Although consumers should use caution with any new product, implying that e-cigs are harmful by using one, inconclusive study is not only careless, but it’s misleading. We agree that this is a worrisome fact, but the truth is, both critics and advocates alike AGREE that children should not have access to electronic cigarettes. Several states have already banned the sale of e-cigarettes to minors (AZ, MD, NH and WA), while several others have proposed legislation to limit access to those under the age of 18. In our opinion, it’s only a matter of time until similar regulations are passed in all 50 states, and we support any actions to prevent e-cigarette sales to minors. Last time we checked, adults enjoyed tasty flavors like cherry, strawberry, chocolate and vanilla. One of the advantages to using electronic cigarettes is the vast array of flavor choices. Are Vodka producers targeting children with their flavored vanilla, cream soda and cherry vodka drinks? These flavors are just as appealing to adults, and it’s a poor reason to criticize e-cigarette companies. Why is it ‘disturbing’ that e-cigarette companies are advertising their products and spending millions doing so? These are companies trying to make a profit. And they’re not tobacco products, so why should they fall under tobacco law? If the public doesn’t support these products the companies will lose money and the ads will disappear. Furthermore, if the ads are so worrisome, shouldn’t there be more of a public outcry? If the public makes this an issue the ads will eventually disappear, but for now, consumers don’t seem to be bothered by this ‘disturbing’ trend. Electronic cigarettes don’t produce the harmful smoke, flames or annoying odors like tobacco cigarettes, so why should they be banned anywhere? Traditional cigarettes affect smokers and non-smokers alike, but e-cigarettes produce a harmless, virtually odorless vapor. The story says that there’s little evidence to support the fact that e-cigarettes are safer or may help users quit smoking, but we disagree. A study published by BioMed Central Public Health in 2011 concluded that cigarette smokers could substantially decreased their cigarette consumption without significant side effects by using e-cigarettes. And a 2012 study published by the Society for Research on Nicotine and Tobacco concluded smokers who switched from smoking tobacco to electronic cigarettes reduced their exposure to harmful toxins while maintaining similar nicotine levels. Although there are a limited number of studies supporting these claims, the evidence against them is just as limited. 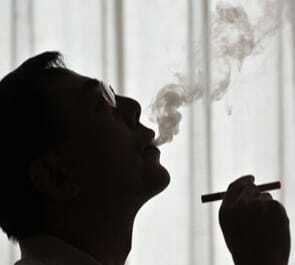 The fact is, electronic cigarettes do not include the hundreds of harmful chemicals found in tobacco cigarettes. Being a relatively new product, it’s easy to understand why no long-term studies can prove (one way or the other) how safe or effective they are, but common sense leads most users to believe that electronic cigarettes are a safer, healthier alternative. We’re not sure why NOT being taxed is a ‘disturbing thing.’ Do consumers really want another tax on an item they purchase and use on a daily basis? How is taxing e-cigs helpful to anyone but the government? Tobacco taxes are designed to limit consumption on a product PROVEN to kill and drive up healthcare costs, but why discourage e-cigarettes when there’s been no proven health consequences or negative side effects? We say they should remain tax-free! If you think electronic cigarettes are a safer, healthier alternative than tobacco cigarettes, then making “inroads with a new generation of young people” is a GOOD THING, resulting in less medical issues, reduced healthcare costs, etc. Obviously, we support this viewpoint and feel strongly that e-cigarettes are much safer than tobacco. If you think e-cigs are unhealthy and dangerous, on the other hand, then maybe this point makes some sense, but the facts DO NOT support this view. I started vaping in January 2014, after a 41 year smoking habit. I have not even had a cigarette since that day and after 1 year and 14 days, I can honestly say, I did not feel any ill side affects by switching to vaping or have the urge to go back to tobacco. This has definately made me quit, and after a discussion with my doctor, some of the things I have been feeling are due to quitting tobacco and he said it will last a while as my system is getting used to being tobacco free.